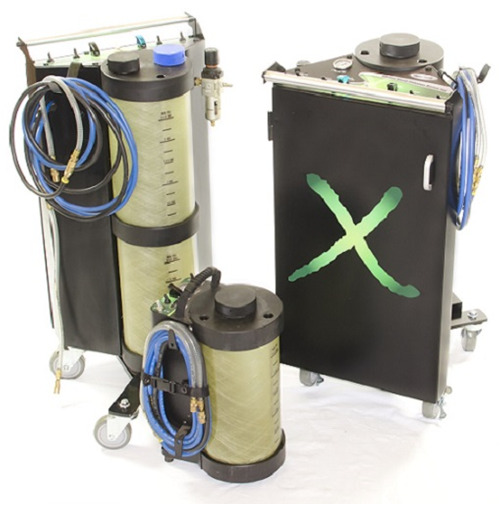 The Diesel Force™ Diesel Maintenance Program is a revolutionary cleaning system designed exclusively for diesel engines equipped with modern emissions systems. The program uses powerful products to significantly reduce filter regeneration and emissions system component failures, eliminate the headache of replacing EGR valves, EGR coolers, VGTs and DPFs, and save up to 90% on Diesel Emissions system maintenance costs. Check out our website, www.Diesel-Force.com, today and get with the program! Rapidly expanding, high-volume foam is delivered, simultaneously, into the intake and exhaust side of the engine with our patented Diesel ForceTM equipment. Contaminant build-up is removed from the inner surfaces and passageways of the induction system and all major emissions systems components. Stop replacing EGR valves, EGR coolers, VGTs and DPFs. Maintain them with Diesel Force. *Achieved when all products are used together.